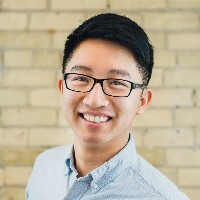 What is the Basic Text Sort Formula in Excel? 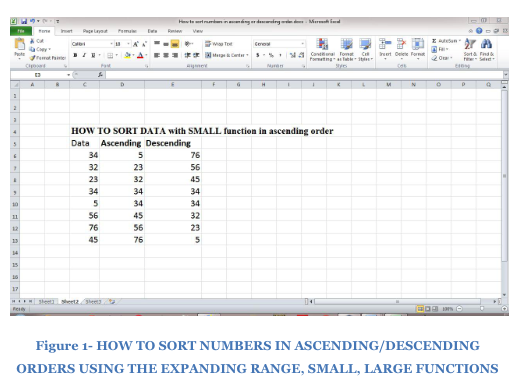 Figure 1. of Basic Text Sort Formula in Excel. 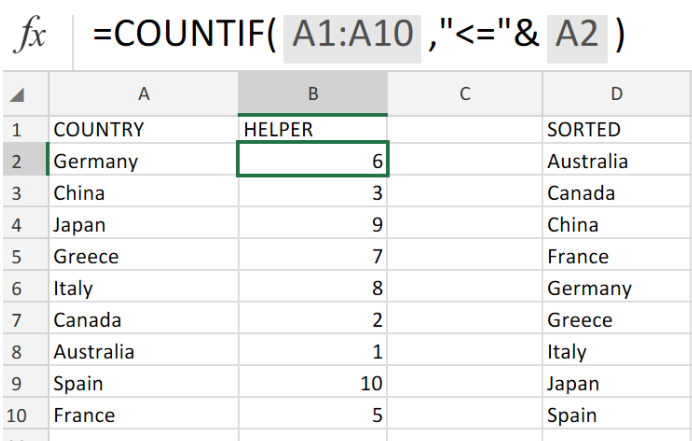 In order to alphabetically sort text values in Excel, we can utilize the COUNTIF Function. This tutorial will assist all levels of Excel users in sorting text values. 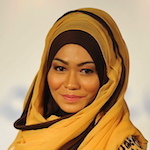 When the text is compared by Excel, it will automatically rank them by deciding which of the values provided is greater. 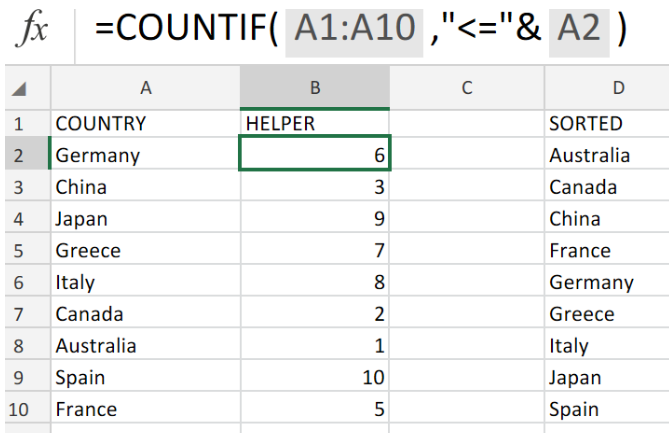 How to use the COUNTIF Function in Excel. 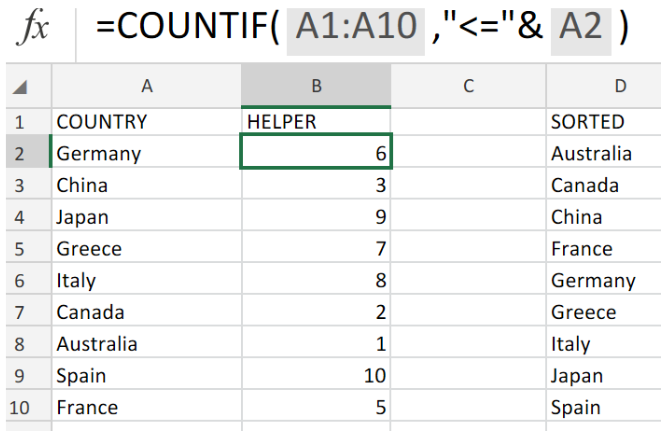 In the example illustrated below, we are going to utilize the COUNTIF Function to rank the listed countries in alphabetical order..
We can achieve this by following two simple steps. We must first list the COUNTRIES in one column. 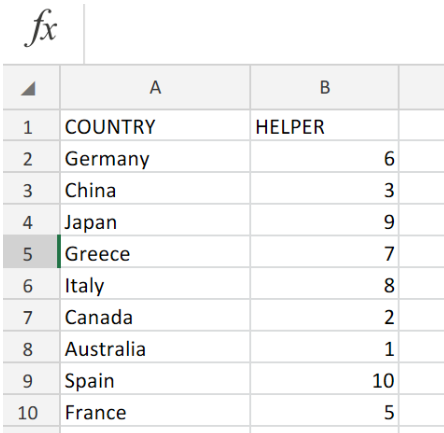 We will label the next column HELPER where the COUNTIF Function will determine the number value of each country. .
We can use the HELPER column to store the sorted values according to their rank. 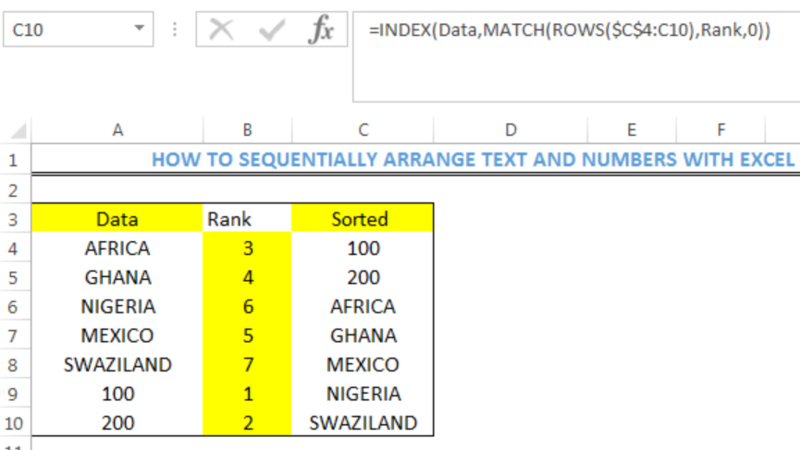 Figure 2. of Text Data for Sorting in Excel. Figure 3. of the COUNTIF Function in Excel. Copy the operation syntax in cell B2 down the HELPER column to achieve complete results. The COUNTIF formula syntax works by using the greater than or equal to (>=) symbol operator together with text. Trying to sort cells that contain text ending in "FA"; For instance, each cell contains text such as "John Smith - FA" or "Joan Smith - BA". I'm trying to sort by the last two letters.